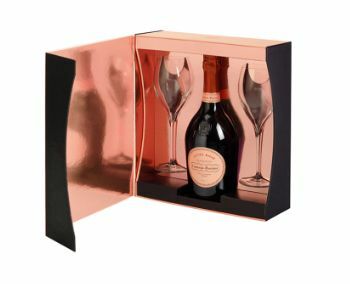 Laurent-Perrier Cuvée Rosé set; Pop the cork, all you need is the toast! 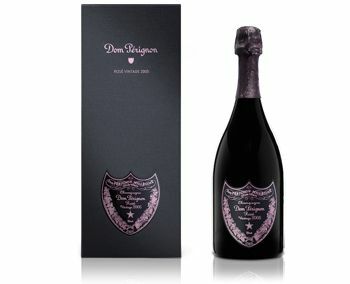 The Cuvée Rosé from Laurent-Perrier is the most recognized rosé champagne in the world. 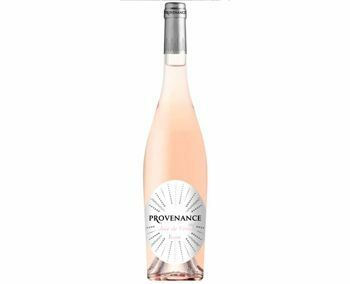 It is also one of the few rosés still made by the saignée method. 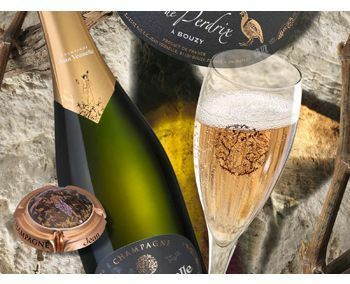 Held in an elegant bottle inspired by King Henri IV, it has been widely acknowledged for its consistent high quality for more that 40 years, and it is the benchmark for rosé champagne around the world. 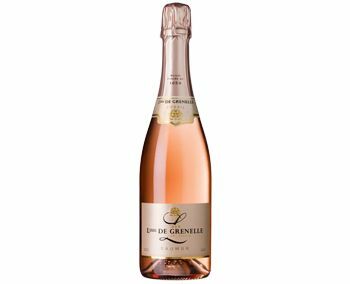 Laurent-Perrier Cuvée Rosé is truly remarkable for its highly expressive bouquet, stemming from very careful preservation of fresh fruit aromas during the wine making. Made with 100% Pinot Noir from 10 different “crus ” (or villages), from the North and South areas of the Montagne de Reims, as well as the famous Cote de Bouzy. Grapes from carefully selected plots are meticulously sorted and de-stemmed before going into the vats, and the controlled maceration helps with the color extraction and the development of the full aromatic richness of the Pinot Noir. 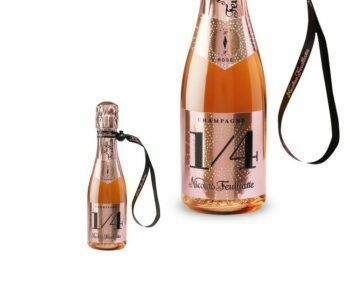 In its elegant bottle of late 16th century inspiration, this rosé champagne is memorable for its freshness and unique aromas of fresh-picked red berries. Intensely fruity flavors, clean and slightly sharp, the wine opens to the sensation of freshly picked red berries: strawberries, Morello cherries, black currants and raspberries. The finish is supple and rounded. The Cuvée Rosé Laurent-Perrier is a delicious aperitif and, thanks to its aromatic character, it also allows various food and wine pairings. It matches well with raw fishes (marinated red mullets and tartare of tuna), grilled prawns, fine charcuterie (such as Italian prosciutto) duck, lamb and creamy cheeses such Chaource. The Cuvée Rosé is also an extraordinary match for red fruit desserts. The more daring will try it with Asian or Indian cuisine.